Are you tired of struggling and not putting as much money in the bank as you want? At some point, you say to yourself: “Enough. I’ve been working too hard for these puny results. “I’ve read books, gone to conferences and listened to webinars about how to get ‘hockey-stick growth.’ But no matter how hard I work, my business is just not scaling like I want. “I know I have the beginnings of a super-successful business, and the people around me believe in it. But I also know I need a simple, repeatable marketing system that consistently brings me a flow of new customers, so I can prove to my stakeholders — and myself — that we have the formula for fast growth. “But even if I figure out how to scale fast, I also want to reach the point I’ve seen other entrepreneurs get to, where I work less, earn more and build a meaningful net worth that gives me the lifestyle I want. If you’re an entrepreneur who wants to go from six to seven figures in your business over the next year, you’re invited to apply for a FREE Million Dollar Breakthrough Session with Peter. You will have specific steps to scale your company to $1 Million or more over the next year. Just for applying, Peter will send you a free copy of his Find Your Potential Workbook, with 10 questions that will begin your process of reaching $1 Million or more in revenue. Yes! I want my session! When it comes to building a multimillion-dollar business, Peter is the go-to entrepreneur who has been there, done that, and wants to help you quickly get to $1 Million in revenue and beyond. Peter co-founded GEM Advertising out of college in the depths of the recession in 2008. Starting out creating $800 local television spots, his team at GEM now writes and executes integrated communications plans for million-dollar clients worldwide who want to double and triple their revenues over a short period of time. 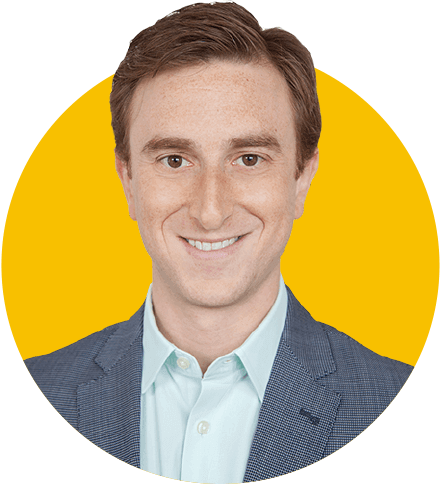 On the way to becoming a serial Inc. 5000 entrepreneur and business columnist, he endured all the classic missteps and mistakes that entrepreneurs make on the way to building a multimillion-dollar company. Now, Peter works with a very limited number of private coaching clients who use his proven growth-management system to predictably scale their revenues, grow their profits and build meaningful wealth.